This bangle beaded earrings are made with 14mm, 8mm and 6mm plastic beads, 10mm, 8mm and 4mm crystal beads. 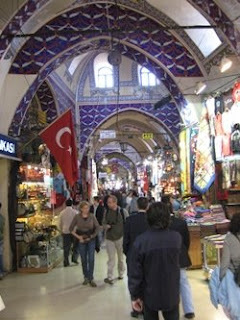 Last week I was in Turkey to buy new beads for the new season. 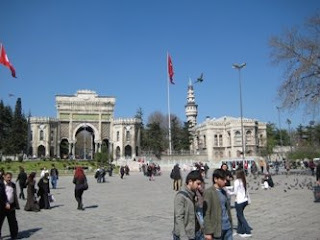 It was a nice trip and I bought very beautiful peaces in fresh colours. The colours for the new season spring - summer are: pink, green, yellow, purple, white, sky blue etc. 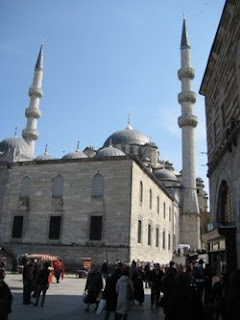 Here are some photos of my trip in Turkey. So in the future you will see a new beaded models with my new beads. 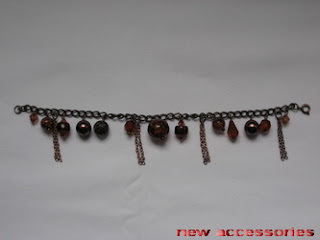 This beaded complete is made with 10mm and 12mm plastic gold beads and is made with brown chain. This beaded necklace is made with 16mm, 12mm, 10mm, 6mm and 4mm glass beads, 8mm and 6mm crystal beads, 10mm and 6mm plastic beads, 20mm jump ring. 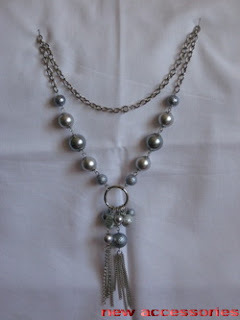 You have seen this necklace previous on my blog, but in a diferent color. This beaded necklace is one of my precious. It is made with 14mm, 12mm and 4mm glass beads, 12mm and 4mm metal beads, 6mm black plastic beads and 5mm crystal beads. . What do you think? This beaded ring is made with 6mm and 3mm crystal beads. Amazing look, what do you think? 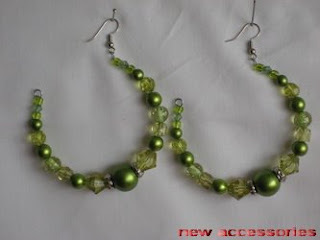 This beaded earrings are made with 14mm plastic dark green beads and 10mm crystal beads. 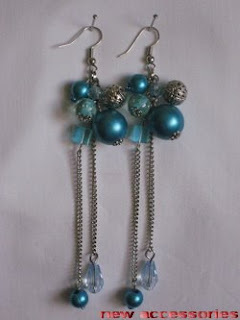 This beaded earrings are for some body who love long earrings. 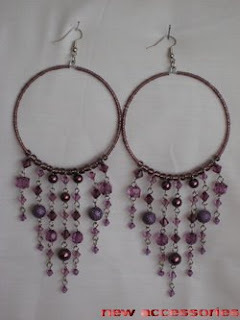 This old bangle beaded earrings you have already seen on my blog but not in this color . 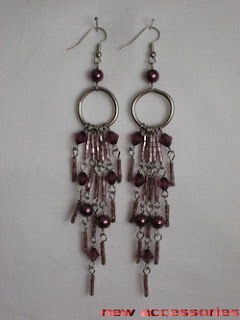 For this beaded earrings I used: 8mm and 4mm glass beads, 8mm, 6mm, 4mm and 3mm crystal beads, and seed beads. Every color has it's own beauty. This beaded necklace is made with 16mm, 12mm, 10mm , 8mm glass beads, 14mm, 10mm, 8mm and 4mm plastic beads, 12mm, 3mm crystal beads, 2omm and 10mm jump rings. 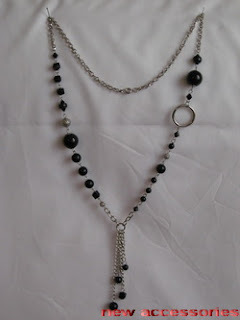 This beaded necklace is made with 4mm, 5mm, 6mm and 10mm tear drop crystal beads, seed beads. 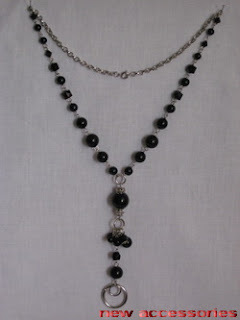 This beaded necklace is made with 14mm and 10mm glass beads, 10mm and 8mm crystal beads, 14mm jump rings. 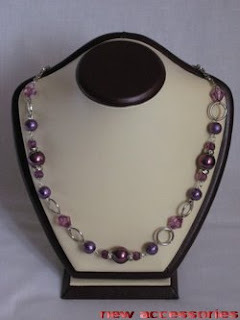 Beautiful violet necklace. This beaded earrings are made with 14mm, 8mm plastic beads, 10mm metal beads, 6mm crystal beads, 8mm glass beads. Very beautiful and elegant beaded earrings. 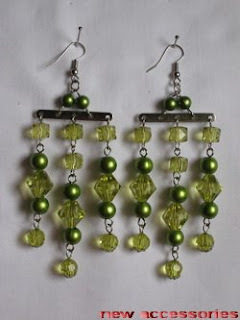 This beaded earrings are made with 6mm and 4mm dark green plastic beads, 10mm and 6mm crystal beads. 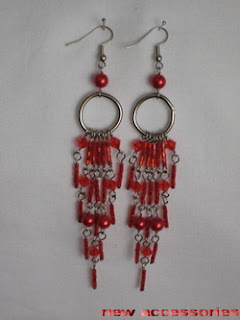 This beaded earrings are made with 10mm plastic beads and 12mm flat plastic beads. This beaded necklace is made with 16mm, 12mm, 10mm, 6mm and 4mm glass beads, 8mm and 6mm crystal beads, 10mm and 6mm plastic beads, 20mm jump ring. 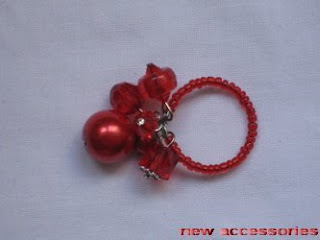 This red beaded ring is made with 10mm and glass beads, 6mm crystal and plastic beads, seed beads. Very beautiful and easy to make. Now I will show you some of my beaded rings. 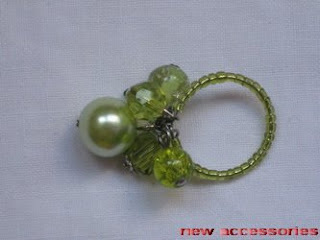 This green ring is made with 10mm and 6mm glass beads, 6mm crystal and plastic beads, seed beads. Very beautiful and easy to make. 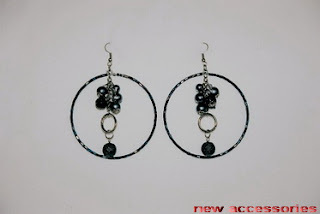 This bangle earrings are made with 8mm glass beads, 8mm and 4mm plastic bead, 3mm, 4mm and 6mm crystal beads and seed beads. This necklace is made with 16mm, 10mm, 5mm glass beads, 10mm and 6mm plastic beads, 6mm and 5mm crystal beads and 20mm, 8mm jump rings. This bangle earrings are made with 10mm, 6mm and 4mm glass beads, 6mm and 4mm plastic beads, crystal beads, seed beads and 12mm jump rings. If you have more different forms, earrings will be more beautiful. 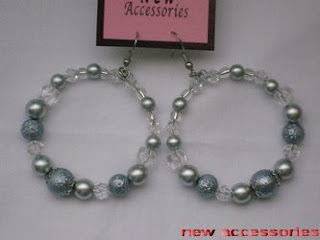 This bangle earrings are made with 4mm and 6mm plastic beads, 10mm and 6mm glass beads, crystal beads and seed beads. How do you like this model? 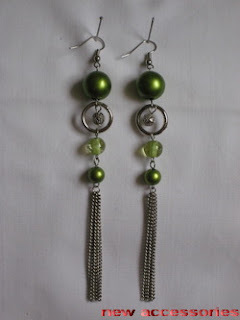 For this beaded earrings I use silver plastic beads 10mm, 8mm and 5mm, and 12mm jump rings. Very, very easy to make them. 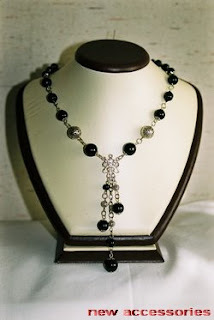 This beaded necklace is made with 16mm, 12mm, 10mm, 5mm black glass beads, 8mm black plastic beads, 6mm crystal beads, 10mm and 20mm jump rings. 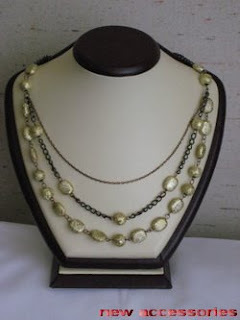 Very lovely beaded necklaces and it is very easy to make it. What do you think? Once I show you this model but in other color. Today I will show you in violet. 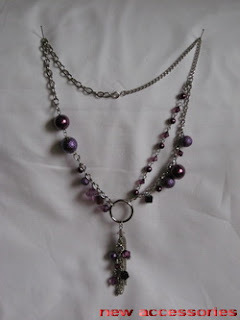 For this necklace I use 5mm, 10mm, 14mm glass beads and crystal beads, 20mm jump ring. How do you like this? 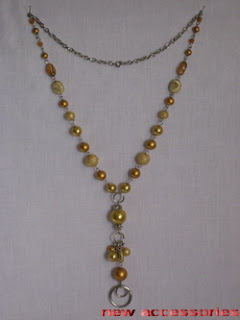 This is one of my older beaded necklaces. 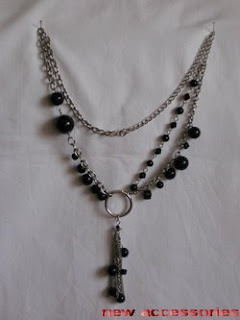 It is made with black seed beads and 5mm crystal beads. My customers love this model. Beautiful brown beaded bracelet. In this bracelet I use crystal beads, plastic beads and glass beads. 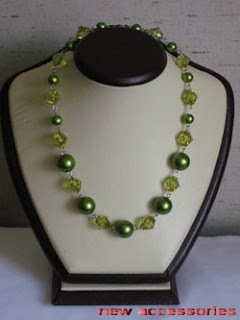 Beautiful green beaded necklace. It is made with 14mm and 6mm plastic beads and 10mm crystal beads. It is very easy to make it. One of my older beaded necklaces. It is made with 14mm, 12mm, 10mm, 6mm and 4mm black glass beads, 12mm and 4mm metal beads, 6mm black plastic beads and 5mm crystal beads. It is very easy to make it. What do you think? 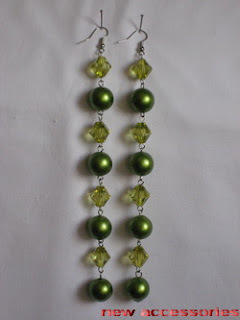 Today I made this green beaded earrings. 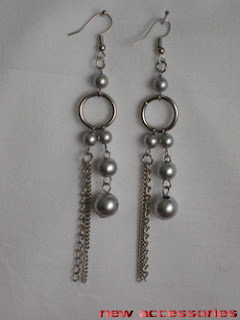 Materials that I use are:12mm and 6mm plastic beads, 6mm glass beads, 4mm metal beads and 12mm jump rings. 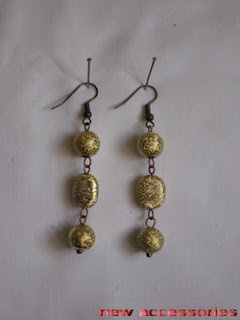 It is very easy to make this earrings. 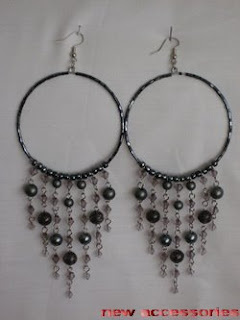 This beaded earrings are made with seed beads, 5mm crystal beads, 5mm pearls, and 12mm jump rings. 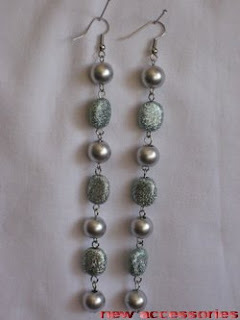 Very easy and fun to make this beaded earrings.